Improved reliability for video downloads over cellular network. 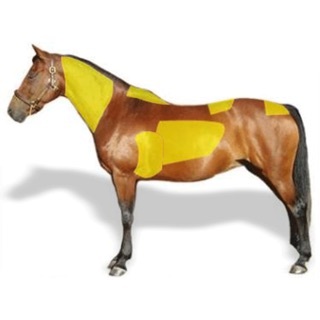 I am confused. Did I just pay 2.99 to see the introduction? Pretty deceiving. I would have at least gone to a stretch that interested me the most had I known each stretch was an additional fee and download. I guess buyer beware. 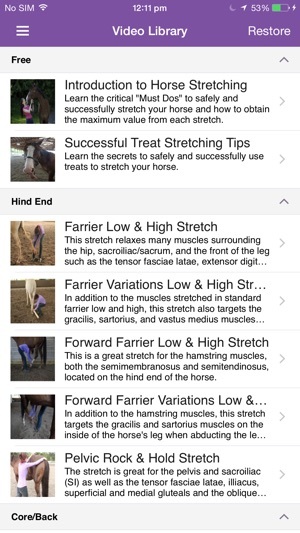 We are very sorry you did not see the description of the App in the App Store, on our website or Facebook page explaining that for $2.99, you get 3 videos (one is an intro to horse stretching to be sure stretches are done safely and correctly) and the rest of the stretching videos are available for purchase individually or as one bundle. There was absolutely no intent to deceive. 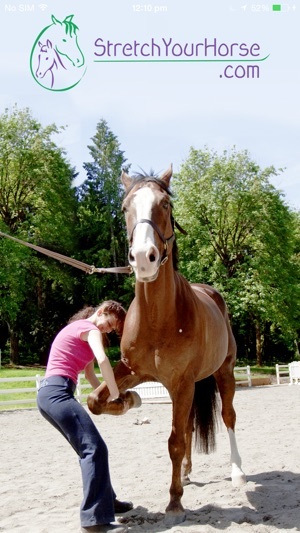 Please contact us at Support@StretchYourHorse.com so we can resolve your concern to your satisfaction.